For a relatively straight-forward film that doesn't disguise its punches very well, In Their Skin is particularly effective at what it does. A home invasion thriller akin to The Strangers and its like, the film works thanks to a strong cast and an astute attention to detail. In fact, it might be the film's consideration of every angle might be a big part of what makes the plot seem straight-forward. Josh Close and Selma Blair star as Mark and Mary, a married couple whose relationship has seen better days. They abscond to a country home for some quiet time with their son, but things quickly turn bizarre when another couple with another son show up and invite themselves into that home. As we learn more about the newcomers, we realize two things. Firstly, we realize that they have a lot of questions about the lives of Mary and Mark. And secondly, we start to notice that these invaders seem to look a lot like this family. From those two hints - and the Freudian usage of the word "invaders" by a ham-fisted reviewer - you can probably guess where In Their Skin goes as the film moves past happy interactions and into full fledged carnage. Things quickly evolve from an awkward dinner conversation to plenty of violence and depravity, as Mark and Mary begin to lose control of their lives to their guests. And their lives are exactly what these invaders are after. Blair and Close are asked to be victims in some pretty awful events, and each actor does well with their role. Blair is recognizable from several Hollywood films earlier in her career, but this is the most interesting I've ever seen her be in a film. She's traumatized before things get out of hand due to the family issues that have driven Mark and Mary apart, and I couldn't help but feel really badly for the character as Blair bared herself for the performance. Close seems to be the more put together of the two, as is normally the case in these films, but his performance evolves as the film goes on and his work in the final act is quite impressive. The star of the show, however, is British actor James D'Arcy as the aggressor that leads the charge against this family. His performance doesn't go to the insane heights that we are used to from actors who are asked to commit unspeakable acts in a realistic setting, and it's the calmness with which he attacks his role that really won me over. The actor shows off some range throughout the film, but always seems to pull his character back to a cold and distant place that is wonderfully unsettling. A film like this works when the threat works, and most films achieve that through gimmicks. Some make the killer a total David Hess style madman, some take away the killer's face - but In Their Skin is perfectly comfortable letting their intruders reside somewhere in the middle. Some might say this hurts the film's shock value, but I think it makes D'Arcy and his "family" that much more interesting. 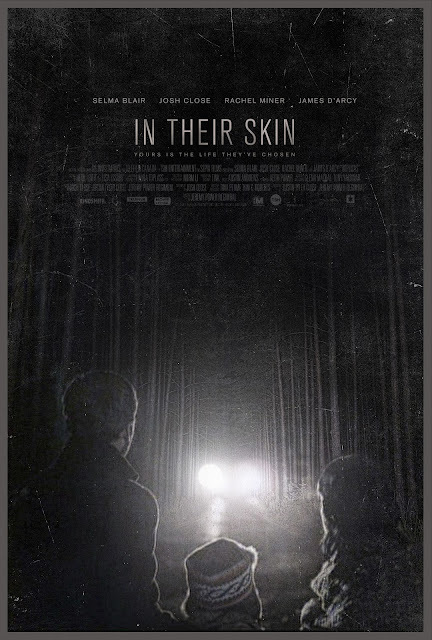 In Their Skin loses some steam in the final reels - which sadly leaves D'Arcy trying to do too much to keep us interested once the torture of Mark and Mary has kind of peaked - but the film has enough human drama to keep it afloat. It succeeds mainly because it's so well-acted, and I feel like the same script with lesser actors might have fallen flat. Blair, Close, Rachel Miner, and D'Arcy do more than enough with their performances to keep us watching the film. It doesn't have the scare factor of some home invasion thrillers - though there are some good chills - but it does make the viewer feel incredibly uncomfortable with the things that occur on screen. 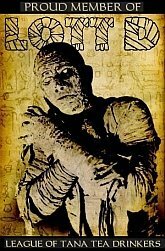 In that regard, In Their Skin is worth seeing for fans of dramatic human horror. In Their Skin is currently available through most VOD/Instant Video services (including ITunes, Amazon, and game consoles) and will be hitting select theaters on November 9th. In the meantime, you can check out the trailer below.